Puerto Rico's premiere tattoo and body piercing studio! To provide the best experience possible for getting a new high-quality tattoo, or that defining body piercing! 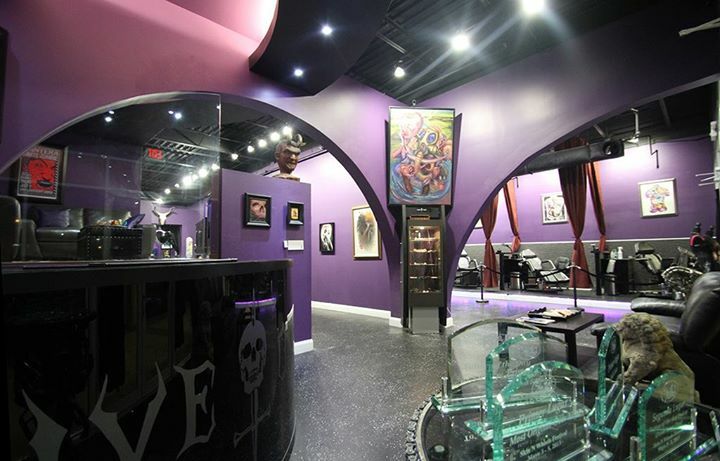 Live Once Ink was created to be the most high-end tattoo studio in Puerto Rico, focusing on art, customer comfortability, and selection of rare body jewelry. Live Once Ink has now expanded to a second, premier shop in Orange County, California with headlining artist Jeremiah Barba! Adam, owner of BodyMod.org, is a tattoo collector, and has dreamed of opening his own shop for over a decade. With years of research and personal experience from the client-side, he has put everything he had into it, so that you can get tattooed or pierced in the best environment possible. We have some of the worlds greatest artists guest spotting frequently, so that you have an opportunity to get the perfect tattoo that you've always dreamed of. The only way to really experience the shop is to visit us! So come in and say hi! @ Crazy Tattoos By Lidiette Del Valle!! !